Is the Powell dovish pivot a game changer? What is in the cards for 2019? Register your free MacroVoices account and get access to the chart book that accompanies the interview. JDI research focuses on providing timely and exclusively trade-driven market strategy on global assets and risk (FX, EM, Fixed Income, commodities and equities). 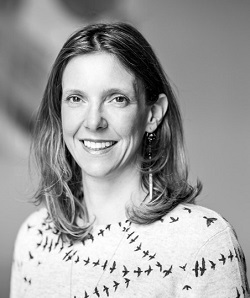 Juliette Declercq is the main analyst. With a strong macroeconomic background and 17 years of experience in strategy and proprietary trading (JPMorgan & Morgan Stanley and at 2 hedge funds Idalion and Stone Milliner), Juliette has spent most of her career advising some of today’s most successful portfolio managers. Juliette Declercq has a proven ability to turn a vast amount of information (macro, geopolitical, technical, statistical and psychology analysis) into high impact & good risk reward trade ideas (cross-product and cross-asset). Whilst being aware of all macro trends and studying them in depth, Juliette believes that psychology plays as big a part in driving asset prices in the time frame hedge fund portfolio managers are pressured to deliver returns nowadays. As such, she spends as much time gauging consensus and the likely way it will swing from one narrative to the other than on the macro story itself. This process allows for consistent and precise market timing. JDI research provides regular roadmaps for traders to navigate markets successfully and timely updates on game changers. The service does not stop at the regular roadmap, we also offer a daily and customised presence to premium clients to ensure continuous and timely thoughts and trade ideas to portfolio managers.